2004 9-2 AC Only Works On Drivers Side Vent. 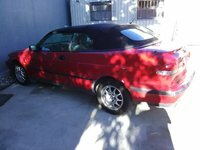 1999 saab 9-3 2.0 water pump replacement videos? 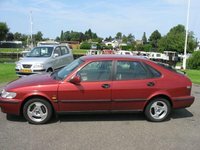 The Saab 9-3 is the direct descendant of the legendary Saab 900. Their changing of the guard occurred in 1998, as the 9-3 debuted as a 1999. The major differences in the 9-3 were behind the scenes, rather than on the surface; much in the way of technical improvement marked this new model. 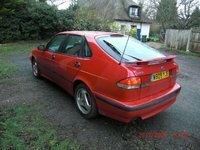 But the big departure cane in 2003, when the 9-3 became a four-door sedan, a notable change from the typical Saab hatchback. 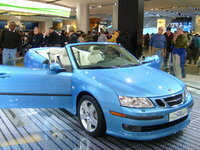 It has also been available as a convertible since 2004. 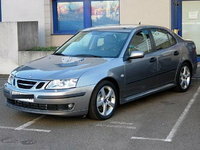 The Swedish carmaker's 5-passenger sport sedan has as its main competitors these other European-branded cars: the Audi A-4, the BMW 3 Series, and the Volvo S Series. 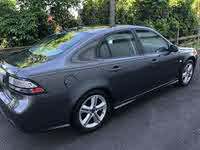 Each is considered a sporty luxury sedan, with slightly varying emphasis on handling, safety, performance, and plushness. 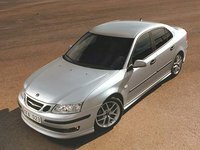 Every Saab 9-3 features a turbocharged engine, whether it's 4- or 6-cylinder. The original theme of the manufacturer lives on, with the driver's "cockpit" reminiscent of that of a jet aircraft. As always in Saab tradition, the ignition is located not to the right of the steering wheel, but down at the base of the center console.